You might think there is some highly alcoholic drink headed your way, luckily, you’d be wrong. If you are a kid, or an adult that likes to make fun things for said kids, you my friend are in luck. 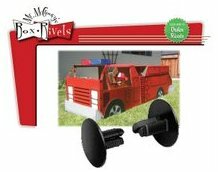 For the scant price of 8$ to 20$ (depending on the size of the kit you want), you can get a pack of Mr. Mcgroovys rivets for cardboard. When you’re done playing with your fort, simply pop out the rivets and use them again. Take the cardboard, and recycle it, and you can start all over again, making the best cardboard box fort for your son or daughter, or simply rebuilding your cubiclemate’s area into an all cardboard ‘zone of work.’ Apparently it’s time to seal their entire workspace in cardboard solidly, so that they can perform no useful work whatsoever for at least 3 hours while they take it all apart. Come to think of it, maybe you should seal your own cubicle in cardboard!